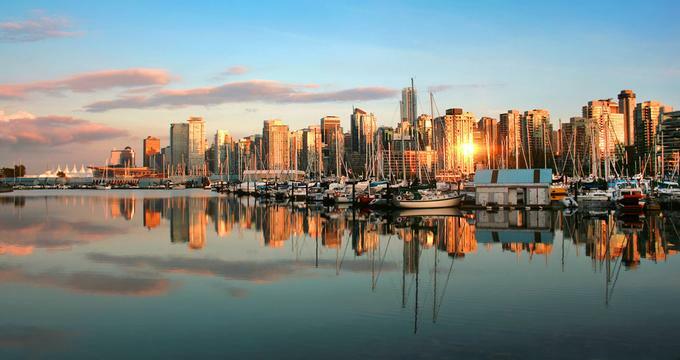 Vancouver is a great destination for foodies; from casual eateries to elegant establishments, there is plenty to choose from. Plan a romantic lunch or dinner and taste fresh seafood, farm-to-table cuisine, Canadian dishes, Asian-inspired small plates, American, Italian, French, modern Japanese and Indian flavors. 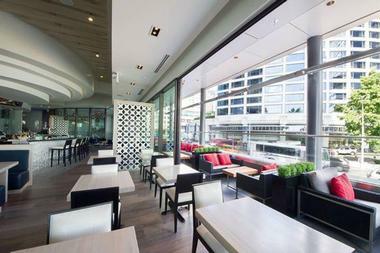 Located in the Fairmont Pacific Rim Hotel in the waterfront Coal Harbour neighborhood of Vancouver, Botanist a bright and airy upscale restaurant and bar beautifully decorated with serpentine banquettes and plenty of healthy greenery that brings the outside in. The massive bar and charming outdoor terrace are a distinct but well incorporated part of Botanist. 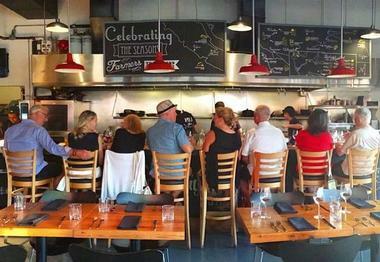 The menu is modern Pacific Northwest, reflecting the availability of local ingredients both from land and sea. Executive Chef Hector Laguna takes great advantage of what the nature offers and creates such masterpieces as Butter Poached Lobster with acorn squash, lobster mousse cannelloni, fennel, and sea urchin. The Botanist Bar is known for its whimsical cocktails and respectable wine selection, with many choices available by the glass. 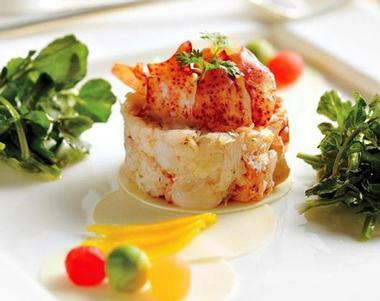 Blue Water Café serves outstanding seafood and unparalleled service in a chic, stylish setting. 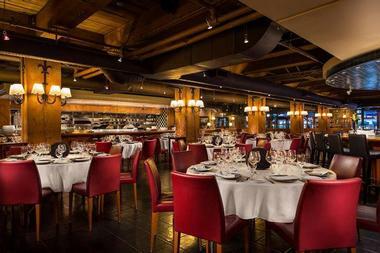 Housed in a beautifully restored heritage warehouse conversion in the center of the vibrant Yaletown neighbourhood, Blue Water Café has been awarded “Best Seafood Restaurant” on a number of occasions for its unrivaled menu of sustainable seafood cuisine and innovative West Coast dishes. A modern Raw Bar adds a touch of Japanese aesthetic, while the striking dining room is decorated in an ‘East meets West’ style with an elegant bar, private dining rooms and a heated patio for outdoor dining. The award-winning Wildebeest is located in Vancouver’s historical neighborhood of Gastown and offers diners an adventurous culinary journey. Open for dinner seven days a week and brunch on the weekends, Wildebeest’s seasonal menu explores whole-animal cookery with dishes such as crispy chicken terrine and bison carpaccio prepared in a family style and intended for sharing. The classy restaurant is set in a beautifully restored 19th-century building, with a front house cocktail bar and lounge, elegant dining room with banquette seating, and an intimate underground private dining room. The cuisine is accompanied by Old and New World wines, a selection of craft beers, and a variety of handcrafted cocktails. More vacation ideas: 14 Stunning Romantic Trips in British Columbia. 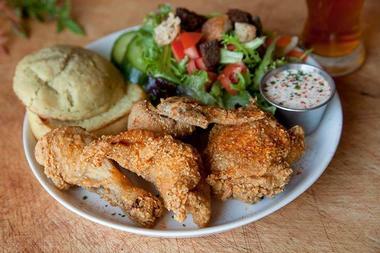 Fable Kitchen is a friendly neighborhood eatery that offers a seasonal, farm-to-table lunch menu and weekend brunch. Owned by celebrity chef, Trevor Bird, the cozy restaurant boasts reclaimed wood beams, exposed brick walls, and local artworks, and offers diners a menu of delicious dishes that include garden-fresh salads, charcuterie, seafood and pasta, as well as delectable desserts. Beverages include freshly squeezed fruit juices, homemade lemonade, special cocktails, and a selection of boutique wines. The popular eatery also hosts special events throughout the year. Located in the culinary heart of Vancouver, Edible Canada at the Market is an award-winning, full-service bistro that serves a farm-to-table menu of new Canadian cuisine. Open daily for lunch, dinner, and weekend brunch, the modern bistro features a 150-seater private dining space and a lovely patio for outdoor dining and offer an OpenTable booking policy, making booking a table simple and easy. Diners will find a celebration of different Canadian regions on the menu, such as the Alberta Angus beef burger or the Quebec duck poutine and West Coast salmon, and an impressive drinks list offers the ideal accompaniment. Located amidst the hustle and bustle of Chinatown, the Keefer Bar is a stylish bar with a euphonious atmosphere that serves apothecary-inspired cocktails, craft beers and boutique wines accompanied by a menu of Asian-inspired small plates and snacks. From Peking duck sliders to late night dim sum, the delicious menu caters for every taste, and is served in the dimly-lit, leather-clad lounge of the bar, boasting an exotic vibe that’s ‘a cross between an opium den and a Chinese apothecary shop’ and creating a sultry and laid-back ambiance. 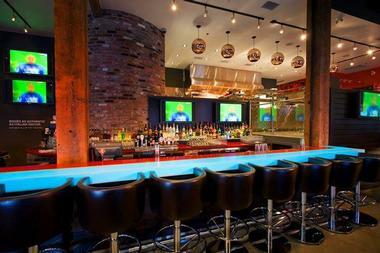 The bar enjoys a happy hour every evening, as well as beer and whiskey specials throughout the week. The Red Card Sports Bar is a casual, convivial bar where sports fans can enjoy a delicious small plates menu and range of drinks in a friendly and relaxing atmosphere. Featuring a large selection of beers from around the globe, including Asian bottled brands and American microbreweries, the bar also boasts an impressive cocktail menu and a hand-selected wine list of local and international vintages. Enjoy mouthwatering Italian fare made from the freshest locally-sourced ingredients, from wood-fired pizza and handmade pasta to traditional burger and fries. 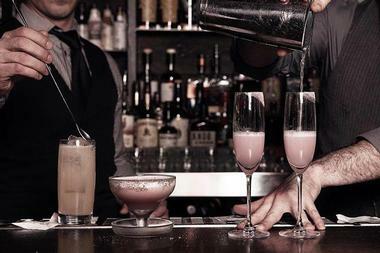 The bar can be hired for private events and functions, with a special custom-made menu in a private dining space. 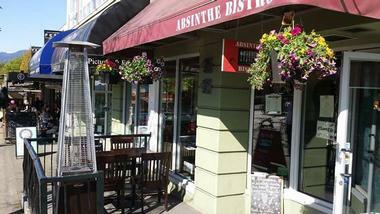 Bringing a taste of France into the heart of Vancouver, Bistro Absinthe is a family-owned and operated restaurant that focuses on flavorful French fare made from locally sourced ingredients. Designed and decorated in a French-bistro style, the 22-seater eatery is situated on the lively Commercial Drive and boasts a friendly and inviting ambiance. The bistro serves a prix-fixe menu that consists of three starters, three mains and three desserts that changes daily, as well as an a la carte menu with dishes such as pan-seared scallops, slow braised lamb shank and tuna tartare. Absinthe Bistro offers a selection of French, Canadian, Spanish and Argentinian wines, as well as a range of aperitifs, digestives and handcrafted cocktails. AnnaLena is a modern 65-seat restaurant owned by Chef Mike Robbins and Jeff Parr that serves a menu of contemporary Canadian cuisine. Located on West 1st Avenue in the heart of Kitsilano and open for dinner and weekend brunch, AnnaLena presents a list of innovative and creative dishes such as shaved foie gras, jalapeño mignonette, lamb roulade, and wagyu rump. Delicious sides such as olive brined spinach and horseradish maple aioli sauce accompany main meals while the dessert menu presents treats like salted caramel, chocolate creme brulee and torn white cake. Open seven days a week for dinner, Vij’s Restaurant is an Indian restaurant that serves authentic cuisine from all regions of India. Owners Vikram Vij and Meeru Dhalwala share their passion for Indian cuisine by creating traditional dishes made from locally sourced products and real Indian spices and flavors. 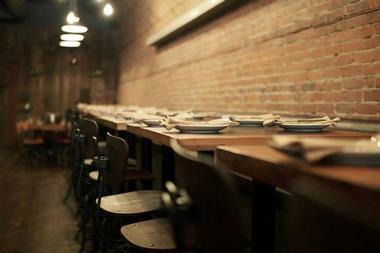 The eatery boasts a warm and welcoming ambiance with a first-come, first serve, no reservation policy. Guests enjoy chai and hand-made, original, hors d’oeuvres in the comfortable lounge while waiting for a table and are made to feel at home. 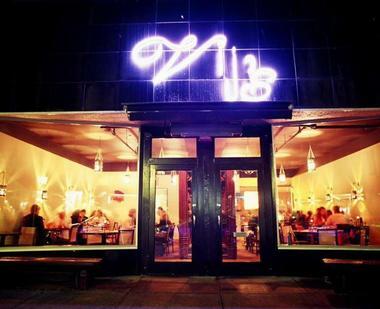 Vij’s offers an extensive wine list to pair with the cuisine under the expert management of wine director, Mike Bernardo, as well as a range of local, unfiltered and unpasteurized beer and signature cocktails. More vacation ideas: 23 Best Things to Do in Toronto. 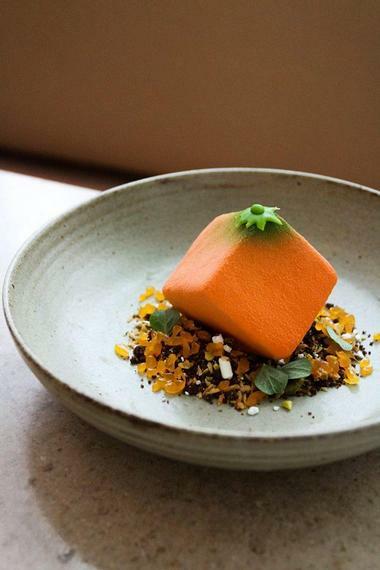 Hailed as ‘The Greenest Restaurant in Vancouver’, Trafalgar’s Bistro is an award-winning restaurant whose primary focus is to serve sustainable and organic farm-to-table cuisine. 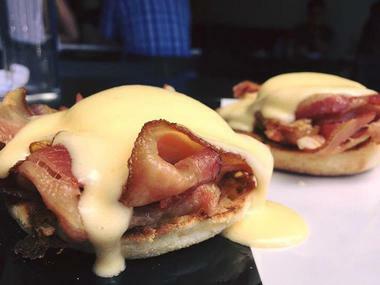 Open for lunch, dinner and weekend brunch, the bistro sources their ingredients from British Colombian farmers and producers who use sustainable farming practices, unmedicated meats, and Ocean Wise seafood. The cuisine is accompanied by an ample wine list of vintages served by the bottle or glass, and a hand-selected range of aperitifs. Owned by partners Lorne Tyczenski and Stephen Greenham, the bistro features a stylish bar and dining space with worn oak floors, comfortable leather banquettes, and elegant chandeliers. Located on Washington Street, Low Bar is a lounge-style American eatery that serves classic cocktails, local craft beers and a small plates menu with farm-to-table cuisine. A ‘woodsy-meets-industrial’ theme provides high top tables for diners while antique furniture and eclectic art decorate the comfortable lounge space. The lunch menu features food sourced from local communities and prepared in-house, such as freshly baked rolls, fresh ground sausage and beef, buttermilk biscuits, and mouthwatering desserts. 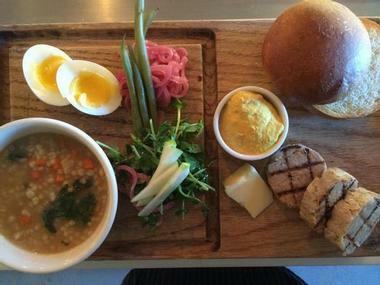 A range of small plates is served during Happy Hour, including burgers, sandwiches, and salads, as well as draft and domestic beer, house wines and signature cocktails. Boasting beautiful views of the Burrard Inlet, Miku Waterfront is a modern Japanese restaurant that focuses on gourmet Aburi cuisine served in an elegant and refined setting. The restaurant is led by Executive Corporate Chef Kazuya Matsuoka and Executive Chef Kazuhiro Hayashi, who use fresh, local ingredients and sustainable seafood options and traditional Japanese culinary techniques to present world-class sushi, sashimi and seafood cuisine. The chic eatery features a full-service sushi bar, comfortable lounge and bar area, lovely waterfront patio for outdoor dining and private dining facilities. 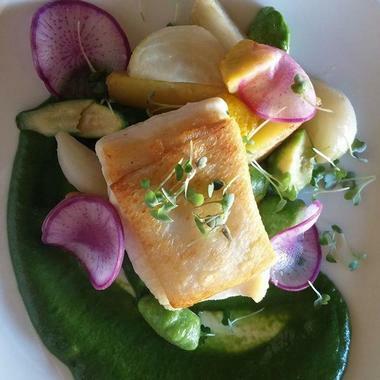 Located at the Pan Pacific Hotel and open seven days a week for dinner, Five Sails Restaurant boasts breathtaking views over Vancouver, an award-winning menu of West Coast and outstanding service to provide a five-star dining experience. Experienced husband and wife team Chef Ernst Dorfler and Gerry Sayers present a creative menu of modern classics made with locally sourced organic products and ingredients, as well as seasonal small plates, accompanied by an impressive wine list and range of cocktails, beer and spirits. The restaurant features an elegant bar and lounge with fireplace, cozy elevated banquettes and an exclusive private dining room for private functions.